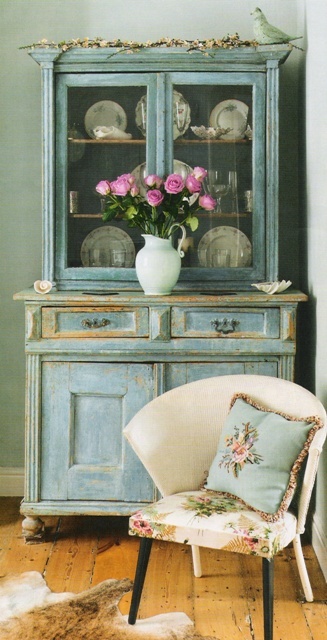 Painting is really great way of revitalising furniture and it needn’t be expensive. Almost any type of wooden furniture can be painted. Colour inside as well as out. It’s great when you open a wardrobe door and a splash of internal colour meets your eye. 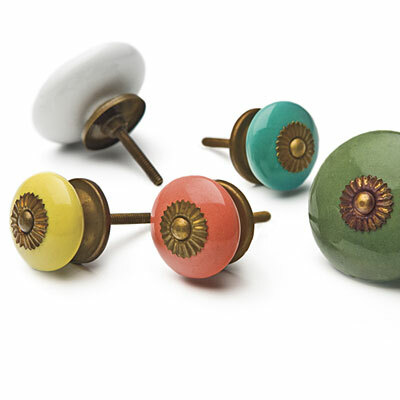 Why not try clashing colours inside and out to make a statement, or pretty things up by matching or toning? Paper rathen than paint. If you want a different kind of statement, use wallpaper on the inside of furniture. 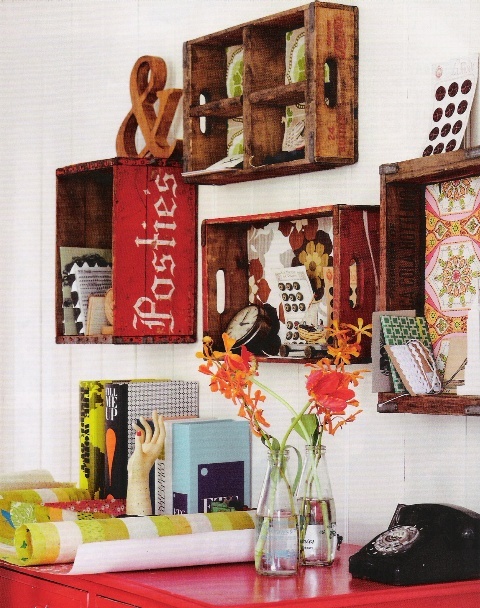 We did this to great effect on some bedside cabinets made from old drawers. Vintage wallpaper also looks great in panels, such as on wardobe doors. Just cut it to size and glue in place for a flash of colour. Découpage is an amazing technique that involves glueing decorative paper onto surface. It will totally transform any piece of furniture and give it spades of individuality. 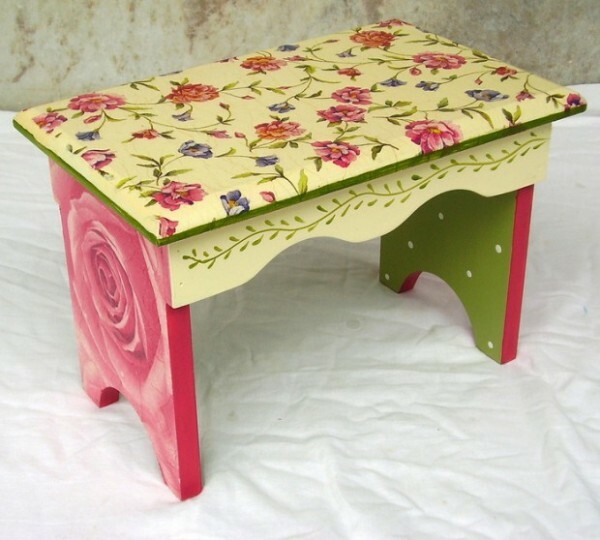 Simply paint your piece of furniture; when thoroughly dry, apply PVA glue to a smallish area at a time and apply your chosen paper (old photographs printed onto thin paper give a real vintage feel). Work methodically over the whole piece, brushing glue over the paper just stuck down and overlapping it with the next piece of glued paper. Smooth out any air bubbles with a paintbrush as you go. Once the furniture is dry, paint with varnish to seal. Changing the handles on a chest of drawers can completely transform it. Vintage handles, which can be picked up at markets and in antique and vintage shops, are easy to fit and can have real impact. They don’t even have to match; in fact, it might look better if they don’t. Start picking up handles when you are out second-hand shopping – you will be amazed where you find them. For a finishing touch, hanging tassels over handles looks fun and adds another layer of personality. Mirror glass makes a great new surface for a tabletop. Ask your local glazier to cut a sheet to the correct size, then attach it to the table with sticky pads or mirror adhesive. Don’t be tempted to use ordinary strong glue because it will eventually eat its way through the mirror. Decorative veneers comes in a huge range of colours and designs, and can easily be applied to furniture to make it uniquely your own. Silk-screen printing on furniture is another rfantastic technique for adding beautiful pattern and colour.